From our Wrexham base, which is ideally situated on the outskirts of the town, we provide a reliable, professional and cost-effective same day and next day delivery service in which you and your customers always come first. Utilising our knowledge of the local area and logistical expertise, we ensure that our customers can count on us to be there for them when it matters. Whether you’re a sole trader based in Chirk or a large business based on the Wrexham Industrial Estate, we treat our all of our customers with the upmost professionalism and integrity, regardless of size or regularity of work. 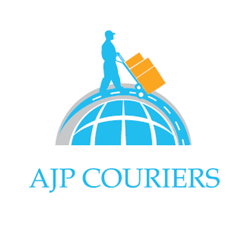 We specialise in and offer logistical solutions for urgent, time-sensitive, high value, fragile, oversized, heavy, awkward and out of the ordinary consignments. Whether it is urgent legal documents that need delivering to a court, or pallets of engineering parts needed ASAP to fix a costly breakdown, we’ve got you covered! Wherever you may be in the Wrexham area, one of our team of committed and punctual drivers can be with you in less than an hour of booking and deliver directly to the destination(s) of your choice. As well as our ‘Express Same Day’ service, we offer more flexible same day and next day services for less time critical consignments. Wrexham is steeped in history and dates back to the Mesolithic Period (8000 to 4300 BC). By the Middle Bronze age, Wrexham was a hub of an innovative metalworking industry. It is also known that Roman civilians populated Wrexham, working in agriculture and trading with the wider Roman world. During the Industrial Revolution, the area saw the opening of Bersham Ironworks. Wrexham saw a dramatic increase in population throughout the Industrial Revolution and the town grew sizably. A number of large, industrial collieries opened up across the Wrexham area during the 18th century, providing great employment opportunity to the people of Wrexham. The last of the collieries in Wrexham borough to close was Bersham colliery, in 1986. The Industrial Revolution also saw the creation of Wrexham Lager brewery. It was established in 1882 in Central Road and became the first brewery in the United Kingdom to produce lager beer. For some years, production of Wrexham Lager ceased, however it began again in 2011 and is still being brewed and sold widely today! In the 1980s and 1990s, the A483 was built, bypassing Wrexham town centre and connecting it with nearby Chester and with England’s trunk road network. New shopping areas have been created within the town at Henblas Square, Island Green and most recently Eagles Meadow. In 2008, Wrexham Glyndŵr University, named after the medieval Welsh prince Owain Glyndŵr, was opened. The Wrexham Industrial Estate was originally built for the Royal Ordnance Factory during the Second World War, which employed over 13,000 people. Today it is the home to many manufacturing businesses, as well as the new HM Prison Berwyn, which opened in August 2017. The town also has many sports teams, the most famous being the professional football club, Wrexham F.C., based at their home ground, the Racecourse.